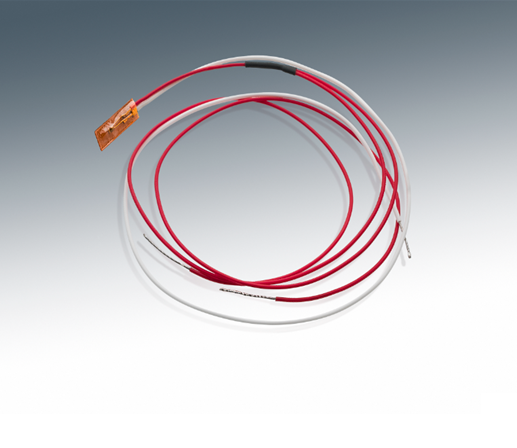 Birk Manufacturing’s surface-mount temperature sensors are produced using only the highest-quality RTDs and thermocouples available. 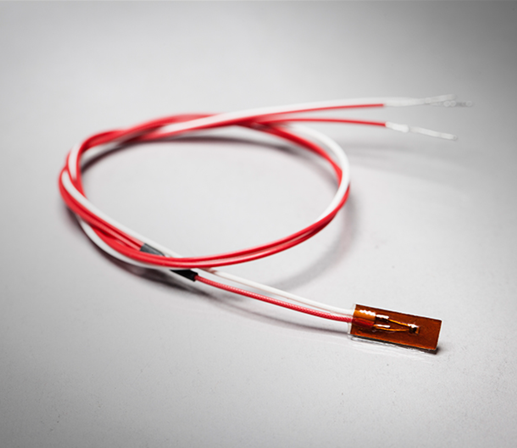 The surface-mount RTD temperature sensor or thermocouple temperature sensor can be encapsulated with either Kapton® or Silicone for the superior protection of your sensor. Kapton encapsulation provides additional benefits by eliminating the fiber content found in traditional silicone. These Kapton® surface-mount temperature sensors provide water resistance and chemical protection. They are clean, durable and a cost-effective solution for your application needs. Silicone, however, while still cost-effective, has the advantage of being waterproof and more chemical-resistant then Kapton®. Silicone is more elastic and provides a low-stress bond between the sensor and the surface. Standard lead wire lengths: 12", 18", and 36"